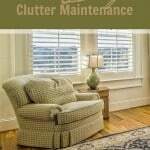 If you’ve got clutter around your house, you are missing out on the peace and serenity that you could be enjoying. 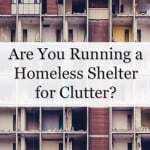 However, there are so MANY problems which can cause clutter. 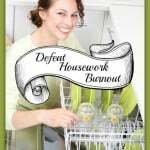 Depending on which ones are your particular bugaboos, I’ve got some GREAT solutions that will help you. 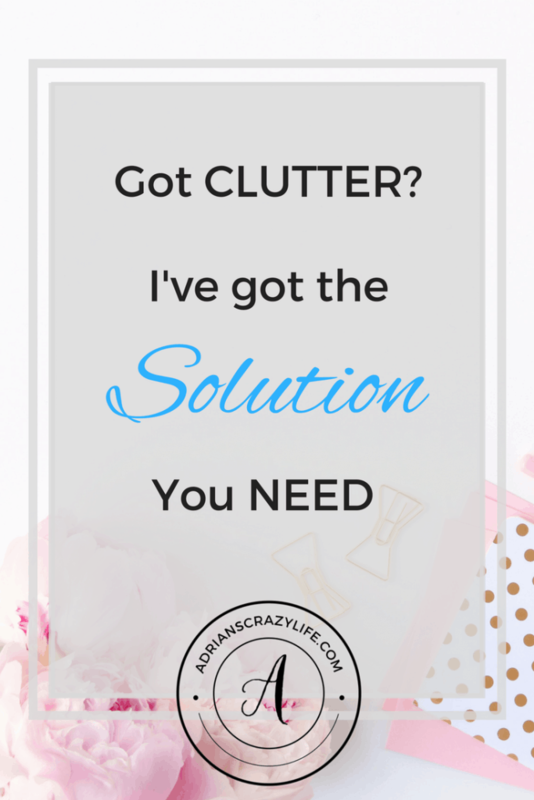 If your problem is your spouse is a packrat, I’ve got you covered – mine is too and we settled that problem YEARS ago. Messy kids who won’t help around the house. Yes, I’ve had several of those kids (one is still living in my basement!) 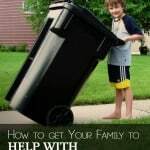 and I’ve got lots of help – Teach your teen to clean, make it easy for kids to clean up, magic formula to get your kids to clean their room in 30 minutes, organizing your ADHD kid, and organize your kids chores. See, I told ya I had LOTS of posts on this topic. Just overwhelmed with the day-to-day stuff? 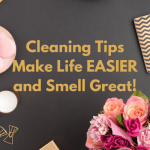 You need my post on making your house self-cleaning (it’s got some really helpful tips including ones for PETS. I have a VERY FLUFFY kitty who sheds like a white tornado, so I was desperate for a solution). Disclosure: This post may contain affiliate links and if you click on any links and buy stuff, I get a bit of $$. It’s one of the ways I support this site. Think of it like tipping your waiter. It’s just a nice thing to do. She’s super SMART and very FUNNY, but she’s also an especially good ORGANIZER. 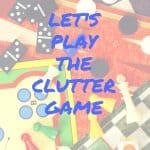 I’m a pretty good organizer too, but she’s got some REALLY clever got clutter ideas that I never even thought of! 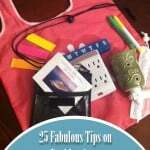 I visit her site or her Facebook group just about every day and I learn some quick little tip every time I hop over there. I met Hilary at a blog conference a couple of months back and I was kind of blown away by how smart, sarcastic, and funny she was. (Sarcastic people are just too much fun!). Plus we have sons that are about the same age and a lot in common. Then I started checking around on her social media and discovered she’s kind of a premium item – 54,000 Pinterest Followers, about 20,000 Subscribers (probably more than that by now), 19,000 Instagram Followers, etc. Apparently, I’m NOT the only one who thinks she’s kind of a BIG DEAL. Anyhoo. 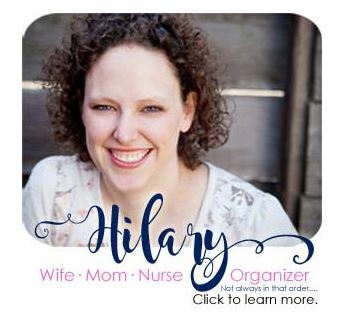 She has a pretty great Organizing Course that you might want to check into. Of course, I have an organizing course too, but unfortunately, it’s all in my HEAD. With all my other projects, I’ve never found the time to make it into an actual course. Because Hilary actually IS organized, she managed to get her course actually FINISHED. It’s pretty great. 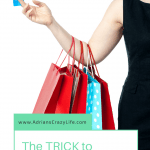 I particularly liked her “playing Tetris in the pantry” lesson, and her vertical clothing stacking trick where you can grab the right T-shirt without messing up the whole drawer. That’s worth the price of admission right there! 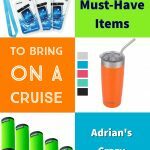 I love your site and wanted you to know that I actually checked out Hilary’s site and found it very helpful! 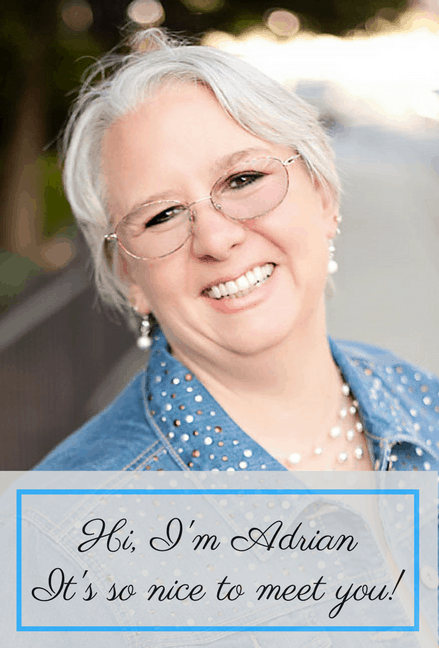 I love that you are sharing the blogging love! Keep it up! Thanks! She’s the real deal, isn’t she?